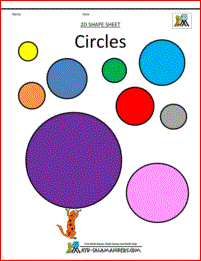 Welcome to Math Salamanders Kindergarten Shapes Clipart. 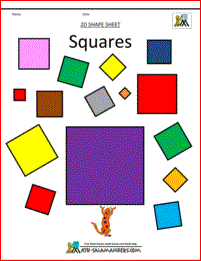 Here you will find a wide range of free basic printable shapes for Kindergarten. 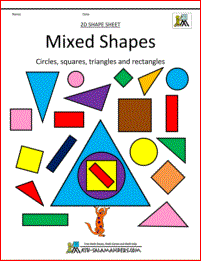 Here you will find our range of Free Kindergarten Shape Sheets. 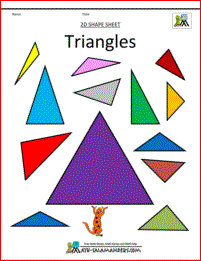 The following printables contain pictures of common 2D shapes that your child should know. 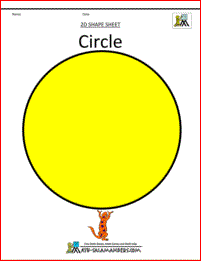 They can be used for information, or as part of a display. 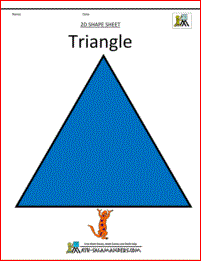 recognise shapes in different orientations and sizes. 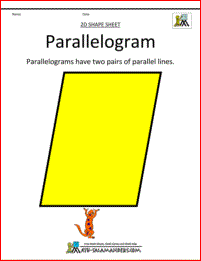 Here you will find a selection of 2D shape sheets designed to help your child learn their names and properties of 2d shapes. 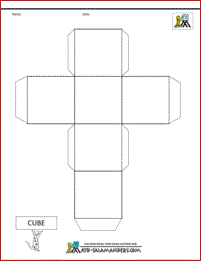 Here you will find our range of Free Nets for 3D Shapes. 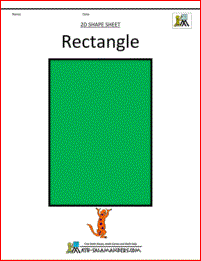 experience the fun and wonder of creating a 3d shape from a net. All the free Printable Geometry Workheets in this section support the Elementary Math Benchmarks. 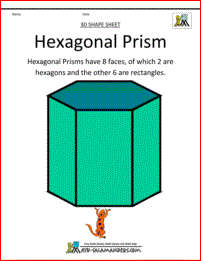 Here you will find a List of different Geometric Shapes. 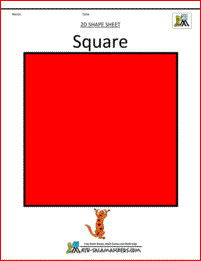 Included with each shape is a small picture and a description of the properties the shape has and how it relates to other shapes. 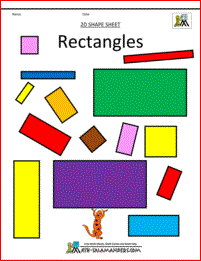 All the printable Geometry worksheets in this section support the Elementary Math Benchmarks.